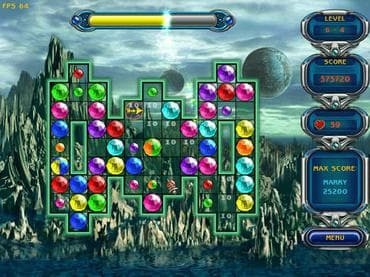 Smart puzzle game with brilliant graphics and relaxing music.The goal is to make diagonal or vertical lines with at least three identical diamonds. To get higher scores, try to make simultaneously as many lines as you can with three or more diamonds.The score depends on the number of diamonds you eliminate at a time. Download free full version game and show your puzzle skills! Free Game Features: - Family friendly puzzle game; - Amazing graphics and relaxing soundtrack; - Unique twist to the matching genre games; - Save / Load game option; - Free full version game without any limitations. If you have questions about Diamond Lines game, please contact us using this form.